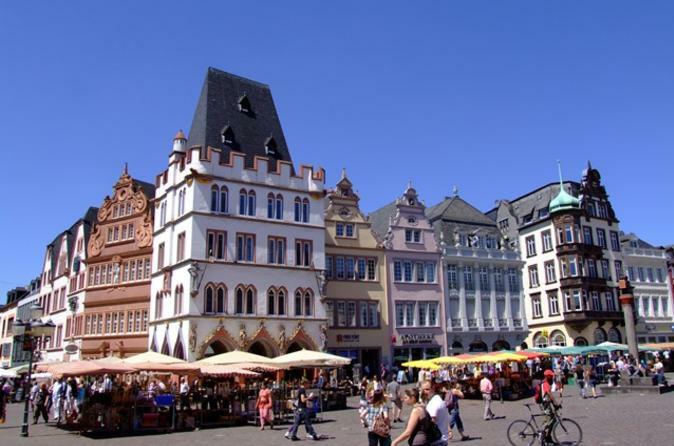 Discover Trier, one of Germany’s oldest cities, at your leisure on a City Sightseeing hop-on hop-off tour. As you explore the city by open-top double-decker bus, put together your own day of sightseeing and visit the places that interest you most. Hear about standout sights from the audio commentary, and pay visits to Konstantin Basilika, Karl Marx Haus and Trier Roman Amphitheater among other attractions. The tour ticket is valid for 24 hours from first use. Spend a night in the romantic Roman city of Trier, and discover centuries-old ruins, UNESCO World Heritage sites and acclaimed wine — all on the banks of the Moselle River. The overnight experience includes a private walking tour with visits to the Imperial Roman Baths (Kaiserthermen) or Porta Nigra (dependent on weather conditions) and Trierer Dom, plus a wine tasting, dinner, 4-star hotel accommodation and a hop-on hop-off ticket. 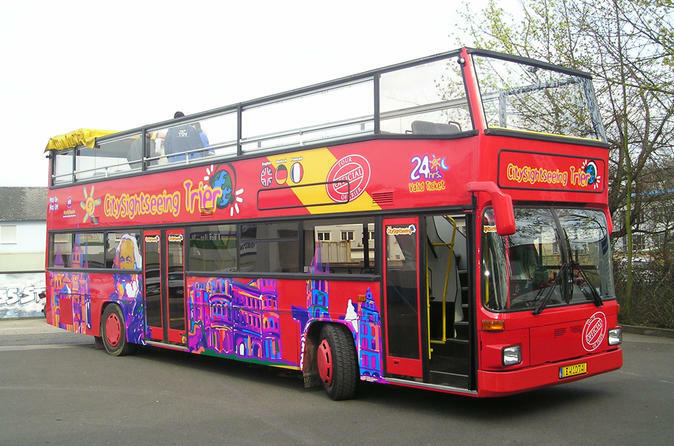 Use the City Sightseeing ticket to travel around by open-top bus, and learn about sights such as Karl Marx Haus from the audio commentary.